WASHINGTON - Some signatories to a letter to Secretary of State John Kerry by U.S. House members critical of Turkish press freedoms, have received financial benefits while insufficiently fact-checking claims made in the letter. Financial records show many of the signees have received political donations from entities linked to a movement led by U.S.-based Turkish preacher Fethullah Gulen. In the Feb. 2 letter, lawmakers expressed concerns about recent arrests of media figures in Turkey. It specifically laid emphasis on proceedings against a Turkish media group linked to Gulen. "According to multiple press reports, Ekrem Dumanli, the editor-in-chief of Zaman, a highly circulated daily newspaper in Turkey and Hidayet Karaca, CEO of Samanyolu Media Group, were arrested on Dec. 14, 2014, on questionable charges, bringing the total number of detained media personalities to 29," the letter said. More than 400 individuals, 150 of whom were linked to Gulen, were monitored last year by the Turkish government on Twitter, according to the letter. Specific emphasis on Gulen-linked media have raised doubts that many of the co-signers were motivated by political donations to their campaigns from individuals and foundations linked to Gulen rather than examining the assertions made in the letter. Turkish officials have rejected the claims in the letter. Turkey’s EU Affairs Minister Volkan Bozkir, who was on a visit to Washington last week, told reporters not a single journalist was detained in Turkey for expressing personal ideas or beliefs. The few who are currently detained are being held on charges of robbery, shooting and clashes with security officers. He stressed the letter didn’t contain names of the detained. "They do not have the names of these 29 press members allegedly detained in Turkey. Furthermore, the facts in the text are not correct,” Bozkir said. Eric Harris, press secretary for Rep. Gwen Moore, one of the letter’s co-signers, told The Anadolu Agency the letter was primarily authored by Arizona Republican Matt Salmon and Missouri Democratic Emanuel Cleaver. Harris said the congresswoman’s advocacy for freedoms of expression and the press motivated her to sign the letter. As with all letters that are drafter in the House, he said there was an extensive fact-checking process, based on cross checks with institutions from government agencies and non-governmental organizations as well as the Congressional Research Service. "In terms of the specific number in the letter, I would refer you to the Rep. Salmon’s office and Rep. Cleaver’s office as they were the architects of the original text of the letter," said Harris. The spokesperson also added that his boss’ staff trusted the documentation capability of the main sponsors' office. "Since we did not write the letter itself, we weren’t the one who put the number down. We trust the guidance account of Rep. Salmon and Rep. Cleaver; if they did not have the correct number there, I am sure they would rectify that," he added. The Anadolu Agency approached more than 70 of the co-signers to the letter and learned that the congresswoman’s office was not alone in trusting its main sponsors. Dozens of representatives' offices declined to officially comment on the letter and referred questions to Salmon and Cleaver. Several confirmed they did not contribute to writing the text. A communication director for one of the signatories told AA on the condition of anonymity that since he supported freedom of press in Turkey, the representative conceptually agreed with the letter. He said, however, Salmon's office was in charge of collecting information about the names and affiliations of press members allegedly detained in Turkey. "We looked into the letter once it was sent to our office; we thought there was something that we would certainly want to support, as it was in line with our legislative trajectory in the House," the official said. He said he was unable to share any document relating to names and numbers specified in the letter but instead referred our requests for such information to Salmon's office. In addition to the apparent lack of proper vetting of the claims made in the letter, many co-signers also did not make clear why a specific media group was singled out in the letter. The letter specified two media figures linked to the Gulen movement and gave numbers related to the movement, which leaves an impression that the Gulen lobby played at least some role in drafting the letter and getting it signed. Led by Fehtullah Gulen, the Gulen movement has been under scrutiny in Turkey. Officials linked to the movement are accused of conducting wiretaps of high-profile figures within the Turkish state as well as constructing a "parallel state" to overthrow the elected Turkish government. The group was recently included in the National Security Strategy of Turkey as an organization that threatened the national security of the country. The Turkish government also removed dozens of high-profile bureaucrats from posts because of their alleged links to Gulen. The preacher, who lives in the U.S. state of Pennsylvania, had his passport revoked in late January by the Turkish government, who then informed its U.S. counterparts about the revocation. A Turkish court also issued an arrest warrant for Gulen and Turkey is readying documents to apply to Interpol to bring Gulen to justice in Turkey. 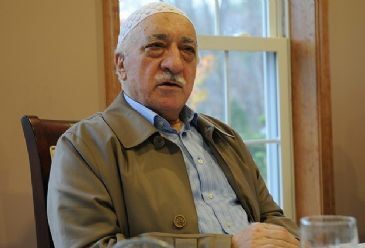 The letter to Kerry was sent in an atmosphere of the tensions between the Gulen movement and Turkish government, which can also leave the impression that pro-Gulen links in the U.S. Congress contributed to the letter’s draft and signing. The Anadolu Agency combed records from the U.S. Federal Election Committee and found foundations and individuals in the U.S. linked to Gulen have donated more than $300,000 to political campaigns of dozens of lawmakers who signed the letter. Rep. Henry Cuellar of Texas was the recipient of the largest amount in 2014 with $92,750. He was followed by Al Green of Texas who received $67,100; Shelia Jackson Lee of Texas got $14,000, Robert Aderholt of Alabama was given $24,800 and Jim Bridenstine of Oklahama collected $13,000. The records show some donors made regular payments and in some cases family members of donors made financial contributions to the same representatives. Representatives usually receive donations from their own constituencies for election campaigns, but among the co-signers of the letter some received campaign donations from Gulen-linked donors who lived outside of some representatives’ districts. For example, Reps. Cuellar, Green and Aderholt simultaneously received similar amounts from donors in different states and districts than where the representatives have a constituency. The main sponsors of the letter, Reps. Salmon and Cleaver, as well as dozens of other co-signers, were sponsored by Gulen-linked foundations in the U.S. for recent visits to Turkey where they met several Gulen-linked journalists and academics. Among the co-signers, 22 were sponsored for trips to Turkey in 2013-14 which cost $171,000. Rep. Salmon, one of the main architects of the letter, Henry Cuellar, Danny Davis, Mike Honda, and Aaron Schock personally visited Turkey while other lawmakers sent representatives from their offices. The Turquoise Council of Americans and Eurasians, Turkish American Federation of Midwest, and Foundation of Intercultural Dialogue were among the Gulen-linked foundations that sponsored the trips. Among the co-signers of the letter, 47 were Democrat and 41 were Republican. Many were members of the Greek, Armenian and Israeli caucuses. Co-signers Jackie Speier, Barbara Lee, Steve Israel, Grace Napolitano, Scott Garrett, Anna Eshoo, Mike Honda, Zoe Lofgren, Chris Van Hollen, Alan Lowenthal and Doug LaMalfa were also sponsors of the bills against Turkey regarding the 1915 events, also known as the Armenian allegations of "genocide" by the Ottoman Empire during World War I. The majority of co-signers were from California, Illinois, Ohio and Texas – states with the most number of Gulen-linked chartered schools.